For the first time in 12 years, BookExpo (BEA) and BookCon took root in Chicago, Illinois May 11-13, 2016 (BEA) and May 14, 2016 (BookCon) and, as always, IBPA was there to support our growing membership of independent publishers. This was the 33rd year IBPA staffed a large cooperative booth on the BookExpo show floor. 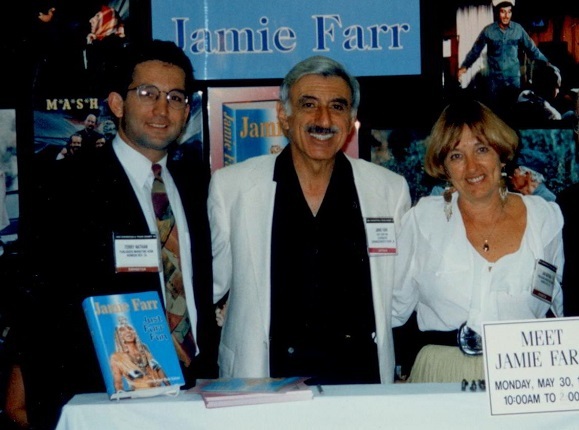 For kicks, here’s a photo of IBPA’s excellent Chief Operations Officer, Terry Nathan (left) with his mother, and IBPA founder, Jan Nathan (right) supporting Jamie Farr, the actor from M*A*S*H, at the 1994 convention. From left to right: Terry Nathan, Jamie Farr, Jan Nathan. ; IBPA’s cooperative booth (1994). Over the years, IBPA has learned a lot about trade show participation. For me, the most important lesson continues to be how the strength of collaboration can so often outbalance the pitfalls of competition. IBPA distributed 180 convention badges to members displaying in the 2016 show. Several hundred additional members secured badges on their own or through their distributor. With this much support onsite, independent publishing looked and felt alive and well in IBPA’s cooperative booth. It was a hive of activity and created a soft place to land for many of those new to the convention. As many of you know, IBPA’s vision is a world where every independent publisher has the tools and knowledge needed to professionally engage in all aspects of the publishing industry. When it comes to BEA, this means an impressive, professionally staffed booth on the BEA/BookCon show floor where IBPA members can be seen and heard in equal measure to the “Big 5.” Through careful location selection, we make sure IBPA’s cooperative booth is strategically placed year after year. In 2016, IBPA’s booth neighbors included Sourcebooks, Ingram, Penguin Random House, and Harlequin, to name a few. This placement – as opposed to placement on the fringes of the show floor – ensures strong foot traffic from interested buyers, librarians, and bloggers. Spanning 50 feet and featuring 333 unique titles, IBPA’s cooperative booth was a beacon of inclusivity and activity for members and non-members alike. 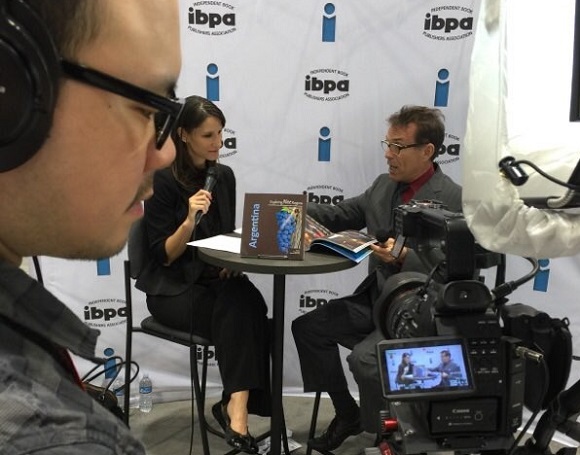 In addition to displaying our members’ books, IBPA staff facilitated thirty-eight in-booth author signings, hosted a networking cocktail hour, and recorded eight author interviews. We’re excited about these interactive elements because of how they help level the playing field for independent publishers by providing cost effective (in the case of the cocktail reception: free!) on-site marketing and networking opportunities. The full catalog of member titles displayed during BookExpo/BookCon 2016 is available here. The full photo album is here. Day 1: IBPA’s cooperative booth at BookExpo/BookCon 2016 all set up and ready to go! This was the first year of BEA attendance for IBPA member Don Stevens of Merge Publishing. Here Don writes about his experience as a first-time attendee and why he thinks publishers need BEA. On the flip side, IBPA member Elizabeth Turnbull of Light Messages Publishing has been attending BEA since 2012. Here Elizabeth writes about growing into BEA over five years of participation. Many BEA activities require pre-planning. 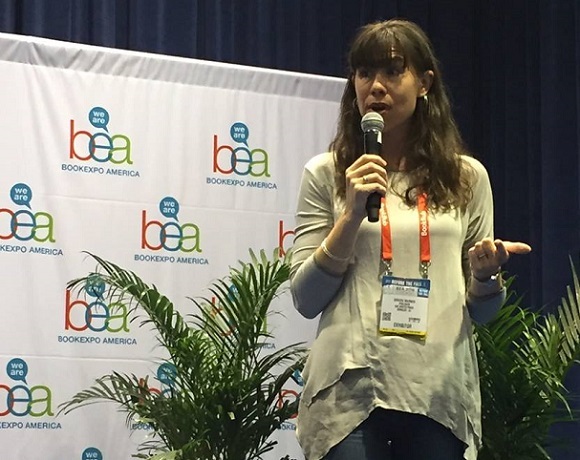 Because of being on the ball, IBPA member Kathryn Kemp Guylay earned an opportunity to pitch her book on the main BEA Selects Author Stage after applying and being accepted to the program in advance. Kathryn passed out book vouchers during her talk and dozens of happy professionals walked away with a copy of her book, Give It a Go: Eat a Rainbow. In addition, several members of IBPA’s Board of Directors were invited to present educational programming from the uPublishU stage on the show floor and eight IBPA members recorded personal interviews from the show floor to use in promotional materials after the convention. 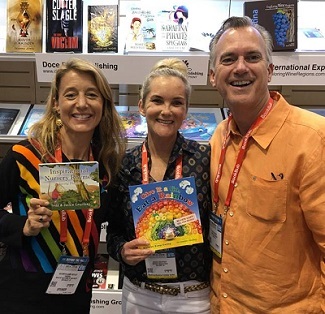 Regardless of whether they attended as a newbie or a veteran, IBPA members at BEA/BookCon in Chicago, Illinois experienced a departure from the normal Javits Center experience in New York City. Expectedly, the show was smaller. Press estimates say the exhibition space on the 2016 show floor was down nearly 20% from last year at the Javits Center. Over 7,000 consumers attended BookCon in Chicago. This was down from 18,000 in 2015 and 10,000 in 2014. This was too be expected in a smaller city like Chicago. One of my favorite articles about BookCon remains the one published by Vulture just before the program launched in 2014. 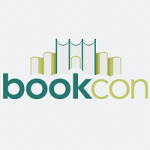 Following a general analysis of BookCon’s pros and cons, the author concludes “there’s still a lot to figure out, and a fire or two to extinguish.” Two years later, things are a little more clear, but there’s still a lot to figure out about how publishers can best participate. As of now, consumers attend to hear celebrities talk about their upcoming books. When taking a break from this, they walk the show floor looking for free stuff. The environment doesn’t contain much for a self-published author or small press to grab onto. As of today, it is IBPA’s intention to skip BookCon in 2017. 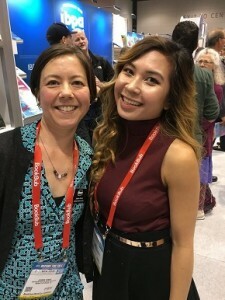 This year, we were joined at BEA/BookCon by our new Member Benefits Liaison, Joanne Kenny. Joanne joined the IBPA team in February 2016 to help guide and develop our member benefits program. You can reach her directly at joanne@ibpa-online.org. Please don’t hesitate to reach out. I know she’s happy to help! In addition, our Project Coordinator, Mimi Le, joined us for her second BEA. With a year of experience under her belt, she was able to provide an even higher level of service than before – if that’s possible! She managed the thirty-eight in-booth author signings with professionalism and kind regard. She also captured over 500 leads to share will all exhibiting members. Thank you, Mimi! Of course, special thanks to the members of IBPA’s board of directors who helped spread the word about member titles on display and IBPA in general during educational sessions held throughout the convention. These board members were: Robin Cutler (IngramSpark), Brooke Warner (She Writes Press), Joshua Tallent (Firebrand Technologies), Karla Olson (Patagonia Books), and Elizabeth Turnbull (Light Messages Publishing). The large community of IBPA members (over 3,100 in total) truly embody our association motto: “Helping Each Other Achieve & Succeed.” It was a privilege to work along side so many of you at BEA/BookCon 2016. We’re already planning for next year. We want to make the experience even bigger and better for IBPA members. Please send me your suggestions or leave them in the comments below. I’m happy to have them and hope to see you on the road sometime soon! Just before Angela Bole became IBPA’s CEO, she was Deputy Executive Director of the Book Industry Study Group, Inc. (BISG), which fosters conversation and consensus across all sectors of the book business. Before that, Angela served for two years as BISG’s Associate Director and two years as its Marketing and Communications Manager.